Cases holding stops illegal include: United States v. Colin, 314 F.3d 439 (9th Cir. 2002)(car drifted onto right fog line for 10 seconds, signaled, changed lanes to the left, drifted to double yellow line, signaled and changed back to right lane - excellent discussion of weaving within the lane); State v. Tarvin, 972 S.W.2d 910 (Tex.App. 1998) (car "touch[ed] the right-hand white line"); Rowe v. State, 769 A.2d 879 (Md. 2001)(vehicle crossed edge line briefly and hit rumble strip, went back in lane and touched edge line again); State v. Williams, 619 N.E.2d 1141 (Oh.App. 1993) (crossing the lane dividing line by one tire width on two occasions over a two mile stretch of highway); State v. Caron, 534 A.2d 978 (Me.1987) (brief, one time straddling of the center line of an undivided highway); United States v. Gregory, 79 F.3d 973 (10th Cir.1996)(single occurrence of moving to the right shoulder of the roadway); Crooks v. State, 710 So.2d 1041 (Fla.App.1998)(car drifted over right line on three occasions, no information how far); State v. Lafferty, 967 P.2d 363 (Mont. 1998)(crossed fog line twice and drove on fog line once); State v. Cerny, 28 S.W.3d 796 (Tex.App.2000)(swerved over right hand edge line three or four times); Hernandez v. State, 983 S.W.2d 867 (Tex.App.1998)(a single instance of crossing a lane dividing line by 18 to 24 inches into a lane of traffic traveling the same direction, without any unsafe driving); Jordan v. State, 831 So.2d 1241 (Fla.App. 2002)(traffic crossed demarcating lines and swerved back into lane for no apparent reason - noone placed in danger); United States v. Gastellum, 927 F.Supp. 1386 (D.Colo. 1986)(single instance of weaving over line insufficient for stop); State v. Brite 698 N.E.2d 478 (Oh. 1997)(vehicle drove over the right-hand edge lines of the road on two occasions during the span of a mile); United States v. Smith, 799 F.2d 704 (11th Cir. 1986)(right side of the wheels crossed over the white painted edge line approximately six inches into the emergency lane, brought back into the center of the lane and drifted over to the white painted center line without touching it and weaved an additional two times). Cases upholding stops include: Commonwealth v. Howard, 762 A.2d 360 (Pa.Super.2000)(vehicle crossed, on two occasions, the edge line by one-fourth to one-half of the vehicle's width, being driven down the center of an unmarked highway and crossing the center line). United States v. Garcia, 205 F.3d 1182 (9th Cir.2000)(vehicle "swerving slightly within its lane, not breaking the lane lines," left side tires crossing into the number one lane and back again, and, as it passed a truck, swerving "over the center yellow line into the paved shoulder throwing dirt and debris up," before it "slightly jerked back" into its lane and continued to pass the truck); United States v. Cervine, 169 F.Supp.2d 1204 (D.Kan.2001)(defendant crossed the line separating the driving lane from the passing lane one time, for about two seconds); United States v. Barahona, 990 F.2d 412 (8th Cir.1993)(vehicle changed lanes without using a turn signal and went "partially" onto the shoulder); Zimmerman v. North Dakota Department of Transportation Director, 543 N.W.2d 479 (N.D.1996)(driving across the center line of the roadway on one occasion); United States v. Botero-Ospina, 71 F.3d 783 (10th Cir. 1995), cert. 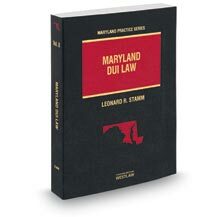 denied, 518 U.S. 1007 (1996)(the car swerved from the outside lane, straddled the center line, and swerved back to the outside lane); Edwards v. State, 792 A.2d 1197 (Md.App. 2002)(vehicle crosses center line a number of times); Dowdy v. State, 798 A.2d 1 (Md.App. 2002)(vehicle partially in left lane 2 times for 1/10 mile); and State v. Hodge, 771 N.E.2d 331(Oh.App. 2002)(minor violation of edge line is cause for stop). In many states, the foundation for the admission of a breath test is carefully prescribed by applicable statutes and/or regulations and the failure to comply can result in exclusion of the test result. State v. Deimeke, 500 S.W.2d 257 (Mo.App. 1973)(statutes and regulations required strict adherence to manufacturer's operating instructions, instrument repaired after defendant's test, not able to show if functioning properly on date of test); State v. Rolison, 733 P.2d 326, 329 (Haw.Ct.App.1987) (state must lay foundation showing instrument was in proper working order); State v. Fairleigh, 490 So.2d 490 (La.Ct.App.1986)("this record is devoid of any evidence concerning the proper chain of evidence, the qualifications of the person conducting the test, the type of test utilized and whether the method of testing adhered to the acceptable methods or procedure promulgated by the Department of Public Safety"); Moser v. State, 369 N.W.2d 650 (N.D.1985) (police officer's failure to start breathalyzer device at zero violated required procedures); State v. Hall, 315 N.E.2d 504 (Oh. 1973) (breathalyzer equipment not shown to be in proper working order where simulator solution was more than three months old at time of test in violation of regulations); State v. Schwalk, 430 N.W.2d 317 (N.D.1988)(failure to show compliance with regulations regarding blood collection, specifically to show blood sample properly inverted to mix preservatives and anti-coagulants); State v. Rains, 735 N.E.2d 1 (Ohio App. 1999)(substantial compliance with regulations required for admission of test in "per se" prosecution); Com. v. Barbeauin , 585 N.E.2d 1392 (Mass. 1992)(state required to show periodic testing program as required by statute and regulation before test is admitted); People v. Hanna, 773 N.E.2d 178 (Ill.App. 2002)(failure to comply with regulatory requirement to test breath test instruments required suppression of tests even though similar tests had been run by NHTSA); State v. Busch, 576 N.W.2d 904 (Wis. 1998)(compliance with regulations leads to presumption of accuracy and reliability - since state had tested Intoxilyzer 5000 Model Series 6400 it did not have to test Intoxilyzer 5000 Model Series 6600 which was analytically similar); State v. Bird, 2002 WL 31525669 (Iowa App. 2002)(unreported)(failure to follow regulations regarding PBT required suppression of both PBT and intoxilyzer results which flowed from them). Some states require strict compliance with statutory and/or regulatory requirements. State v. Matsuda, 836 P.2d 506 (Haw.App.1992); Ringsaker v. Director, North Dakota Dept. of Transp., 596 N.W.2d 328 (N.D. 1999)(requiring either strict compliance with regulations, or expert testimony). Other states allow for "substantial," as opposed to "strict" compliance with applicable regulations. Dougherty v. State, 2003 WL 292135 (Ga.App. 2003); State v. Lake, 2003 WL 169965 (Ohio App. 2003)(substantial compliance not shown where calibration solution certificate did not comply with Ohio rule of Evidence, Rule 1005, and was therefore inadmissible); Potts v. State, 22 S.W.3d 226 (Mo.App. 2000); State v. Garcia, 965 P.2d 508 (Utah App. 1998). In some cases, the state was required to comply with regulations beyond a reasonable doubt. People v. Sesman, 521 N.Y.S.2d 626 (1987); Atkinson v. State, 871 S.W.2d 252 (Tex.Ct.App. 1994). In Ex parte Mayo, 652 So.2d 201 (Ala. 1994) the court said: "We hold the rules found in the Alabama Administrative Code at Rule 420_1_1_.01 of the Rules of the Alabama State Board of Health/the Alabama Department of Public Health do not meet the requirement of § 32_5A_194(a)(1) that chemical analyses 'shall have been performed according to methods approved by the department of forensic sciences.'" The failure to properly observe the person has led to suppression of breath results in a number of cases. E.g., State v. Martin, 2003 WL 57311 (Tenn.Crim.App. 2003)(unreported)(defendant performing walk and turn test at beginning of twenty minute observation period); State v. Korsakov, 34 S.W.3d 534, 541 (Tenn.Crim.App.2000)(officer was doing paperwork); State v. Meredith, 833 So.2d 1125 (La.App. 2 Cir. 2002)(failure to strictly comply with fifteen minute observation requirement); People v. Haney, 507 N.E.2d 230 (Ill.App. 1987); State v. McCaslin, 894 S.W.2d 310, 311-12 (Tenn.Crim.App.1994)(defendant in back seat of patrol car); State v. Baker, 355 P.2d 806 (Wash. 1960)(observation was for fourteen minutes, test suppressed); State v. Kirn, 767 P.2d 1238 (Haw. 1989); People v. Bertsch, 538 N.E.2d 1306 (Ill.App. 1989); State v. Gardner, 967 P.2d 465 (N.M.App. 1998); Department of Highway Safety & Motor Vehicles v. Farley, 633 So.2d 69 (Fla.Dist.Ct.App.1994)(failure to show substantial compliance in license hearing); People v. Boughner, 531 N.W.2d 746 (Mich.App.1995)(operator must observe for fifteen minutes, only observed for eight minutes); State v. Cash, 526 N.W.2d 447 (Neb.App. 1995)(officer searching car during required fifteen minute observation period); State v. Carson, 988 P.2d 225 (Id.App. 1999)(failure to properly observe for fifteen minutes required suppression); but see, State v. Reed, 888 S.W.2d 117 (Tex.App. 1994)(regulation amended to require "presence" as opposed to "observation"); Manriquez v. Gourley, 130 Cal.Rptr.2d 209 (Cal.App. 2003)(officer's testimony that he observed defendant while driving his car was not rebutted). A number of decisions have addressed the relevance of partition ratios. In Guthrie v. Jones, 43 P.3d 601 (Ariz.App. 2000), the court held partition ratio was irrelevant to the per se offense but relevant to the non per se offense. See also, People v. Bransford, 884 P.2d 70(Ca. 1994)(partition ratio irrelevant in light of statute criminalizing amount of alcohol in the breath); State v. Hanks, 772 A.2d 1087 (Vt. 2001)(partition ratio relevant to non per se offense).